Independence Pass shortly after it opened at noon Friday. 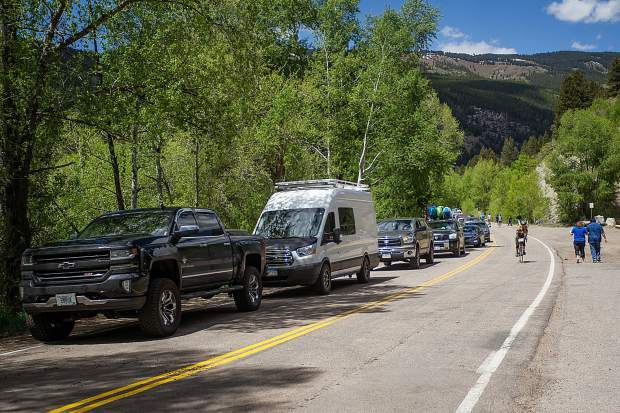 Cars and people line up at the Independence Pass gate in Aspen waiting for the Colorado Department of Transportation workers to come down and unlock it at noon on Thursday for the summer season. 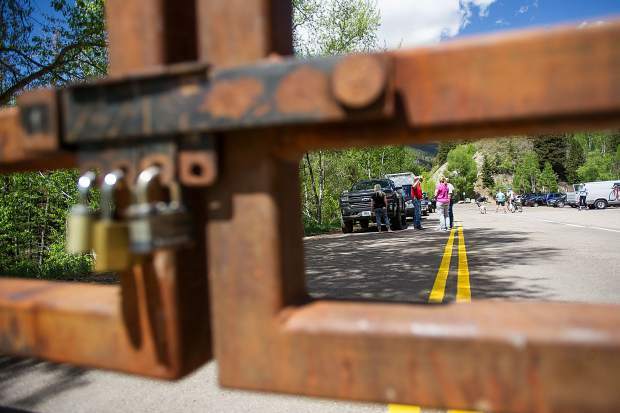 Independence Pass gate in Aspen officially opened for the summer season at noon on Thursday. Approximately 47 cars were in the lineup to go over the pass. 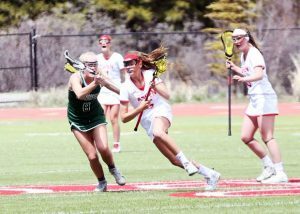 May means multi-sport days for Aspenites, and in true local fashion, folks gathered at the top of Independence Pass after it opened at noon Friday with skis and snowboards, skins, bikes, kayaks, and motorcycles. 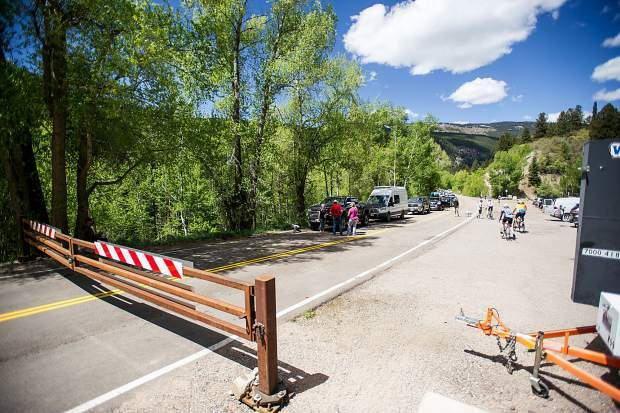 Cars and people line up at the Independence Pass gate in Aspen waiting for the Colorado Department of Transportation workers to come down and unlock it at noon on Thursday for the summer season. The first vehicle was a family from Ava, Missouri, Chad Emmerson his with Chantelle and son Craig, 2. The snow up the pass is sparse this year. 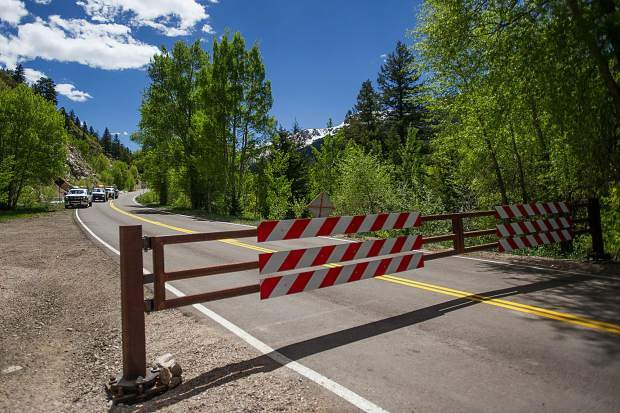 A camper drives through the opened gate from Colorado Department of Transportation workers on Independence Pass Road on Thursday at noon for car traffic for the summer season. 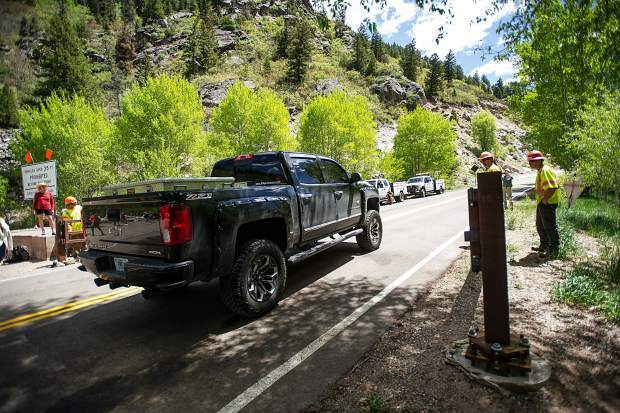 Colorado Department of Transportation vehicles descend on Independence Pass Road on Thursday to officially open the gate at noon for car traffic for the summer season. 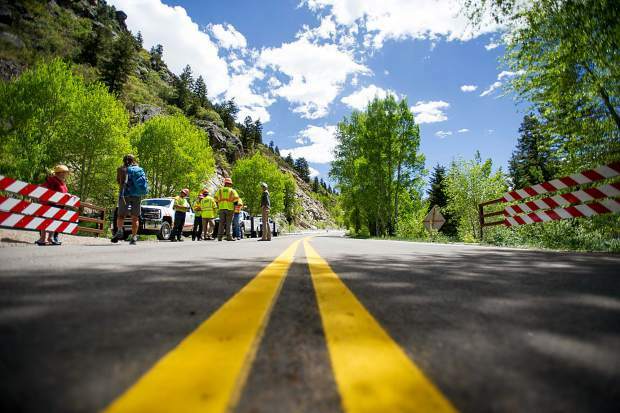 Colorado Department of Transportation workers and Independence Pass Foundation Executive Director Karin Teague hang by the gate on Independence Pass Road on Thursday before officially opening the gate at noon for car traffic for the summer season. 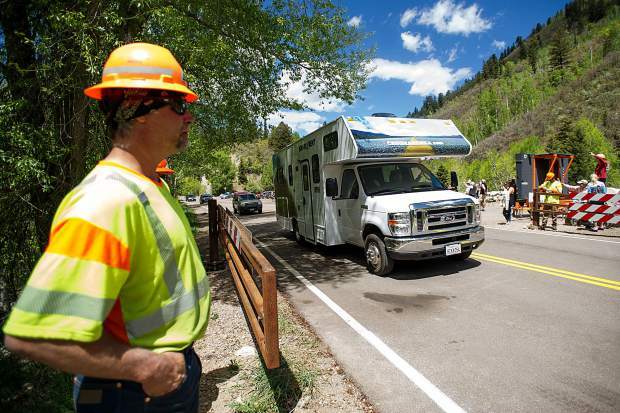 The first vehicle in line, filled with a family from Ava, Missouri drives through the opened gate from Colorado Department of Transportation workers on Independence Pass Road on Thursday at noon for car traffic for the summer season. 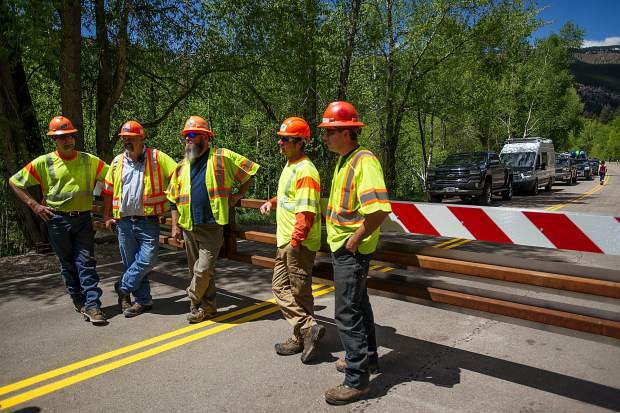 Colorado Department of Transportation workers hang by the gate on Independence Pass Road on Thursday before officially opening the gate at noon for car traffic for the summer season. 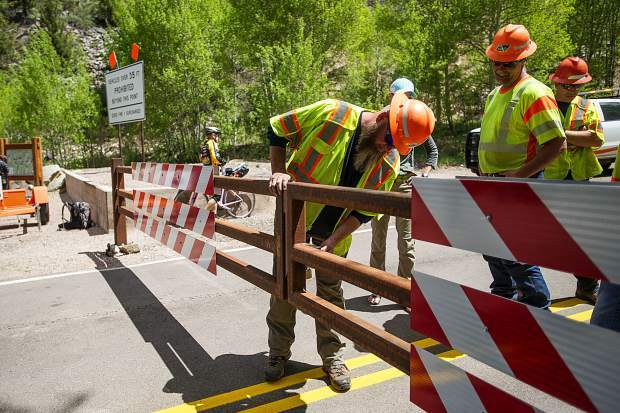 Colorado Department of Transportation worker Jonathan Arnold unlocks the gate on Independence Pass Road on Thursday at noon for car traffic for the summer season. 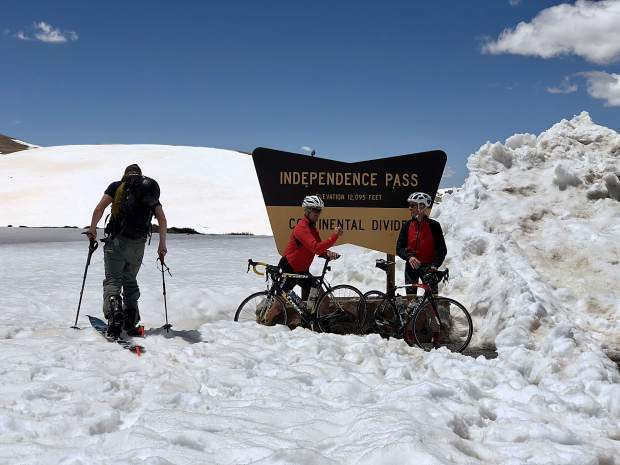 A few motorcycles, a camper, a hammock and nearly 50 vehicles, many with kayaks, bikes and skis strapped on top or at the rear, formed a line Thursday in front of the gate to Independence Pass in anticipation of the annual opening. 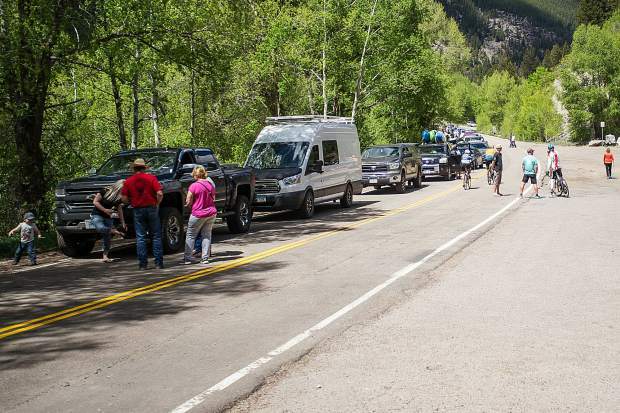 “This is the longest line I’ve ever seen,” said King Woodward, a 29-year board member with the Independence Pass Foundation, while standing by the closed gate and observing a line that stretched back about a quarter-mile. Aspen’s back door opened promptly at noon as an impromptu celebration of summer, complete with free hot dogs and cool beverages provided by the foundation, occurred outside the gate. For Basalt natives Juan Magana and Enrique Merlos, posting up before the Pass gate and waiting to drive across the Continental Divide became an annual tradition as soon as they could drive. “Our parents took us up here when we were younger so we decided to come explore for ourselves,” Magana, 19, said from his hammock. 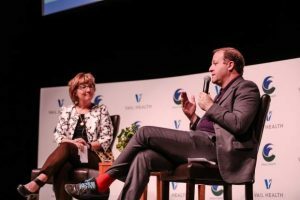 He said the two frequent Independence Pass in the summer, sometimes for off-roading, other times as a faster and more scenic means to Denver. 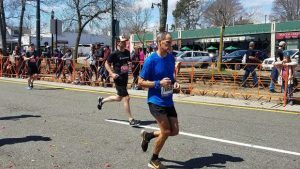 Palm Beach resident Debbie Gambarrotti said she timed her family’s trip to the area around the Independence Pass opening. 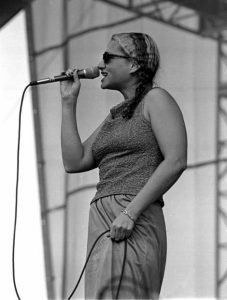 Gambarrotti said her other daughter went off exploring, as it was the first time she had ever seen snow. 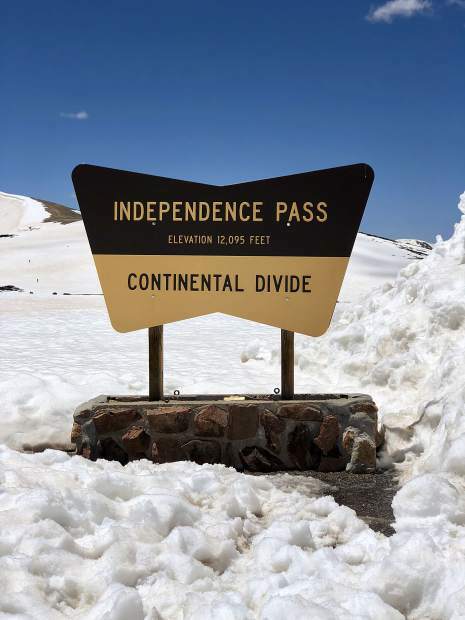 “I didn’t really realize what a big deal (Independence Pass) opening was until the last couple years,” said Independence Pass Foundation Executive Director Karin Teague, noting it is weather dependent. 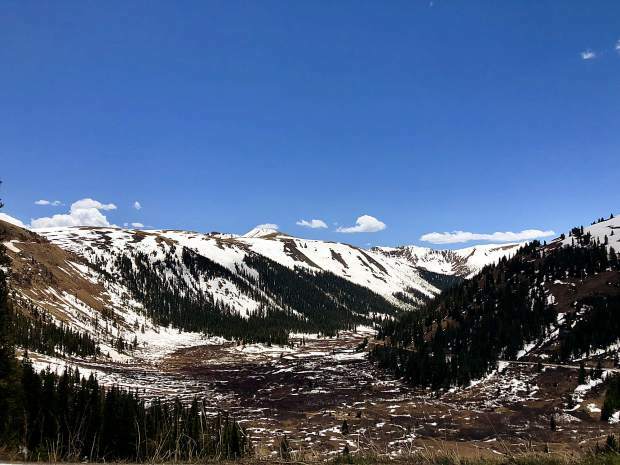 While the sun shined Thursday, the amount of snow up and along the pass was “quite a bit thinner than last year,” Teague said. The pass usually stays open until late October or early November, depending on weather. The pass closed Nov. 17 last year and in 2016. Sparse snow conditions didn’t stop overzealous locals from squeezing their feet into ski boots for a few turns at the top of the pass, where the party continued. 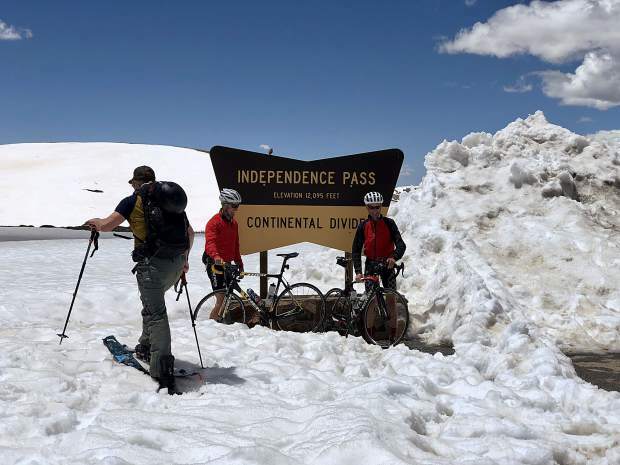 Others opted for road biking, motorcycling and photos with the famous “Continental Divide” sign. A number of vehicles also lined up on the Twin Lakes side of Independence Pass, Teague said. 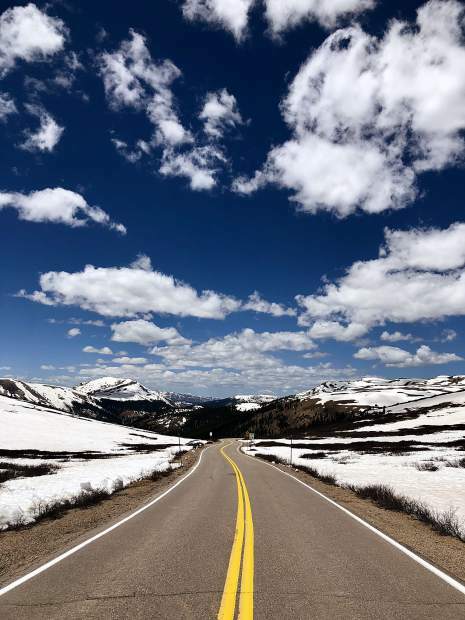 Independence Pass, which traditionally opens before Memorial Day Weekend, connects Pitkin and Lake counties via Highway 82 and is about 40 miles from Aspen to Twin Lakes. 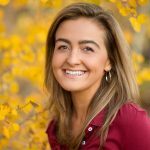 This year the Colorado Department of Transportation was able to do some repaving in spots, including in the single-lane areas.